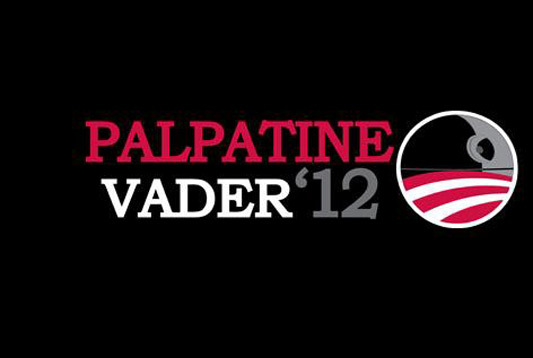 Today, TeeFury is doing one of their special “Twofury” deals, this time with two election-themed shirts for $10 each: One is a Star Wars-themed shirt called “Vote Empire” (in black) by Hugs & Guns which features Vader and Palpatine as running mates; the other is a My Little Pony-themed shirt called “Vote Brony” (in silver) by Bamboota. The sale began at Teefury today, Tuesday, September 11, 2012, at midnight EST, and will continue for 24 hours from then, and once it’s over, it will not be sold on the site anymore. Per Teefury: Welcome to TwoFury, a fun new experiment at TeeFury.com. Every now and then we’ll be putting two designs to the test, pitting them against each other in a battle for glory! Buy one or buy both, and check the battle stats to see if your favorite is winning! The first few TwoFury battles will not be available during After Hours, so grab them while you can! Which design should win this battle?